Some 4000 acres of longleaf pine habitat is heavily managed by prescribed burns at the Waltour Moss Foundation near Southern Pines to maintain this vestage of the great Pine Barrens. 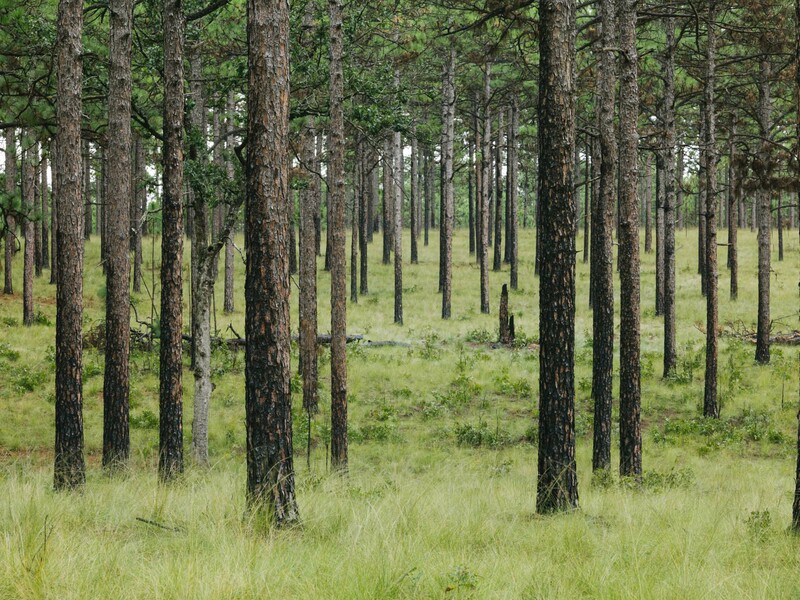 The result is classic longleaf: charred fire-resistant trees that find a natural spacing among a meadow-like understory. As it has for millenia, this ecosystem supports rare flora and fauna such as wiregrass and the red cockaded woodpecker.